Fans of CBeebies will love this unique collection of some of the very best of children’s television which features Teletubbies, Twirlywoos, In The Night Garden, Peter Rabbit, Topsy & Tim, Mike the Knight, The Furchester Hotel, Octonauts, Q Pootle 5, Ruff–Ruff, Tweet and Dave, Chuggington, and Cloudbabies. 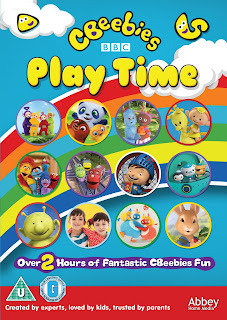 The collection also features the first episode to appear on DVD of the brand new version of Teletubbies which premiered on CBeebies in 2015.This special DVD collection CBeebies Playtime is a great way of entertaining young children with its familiar, well-loved characters and diverse range of fun and engaging programming. 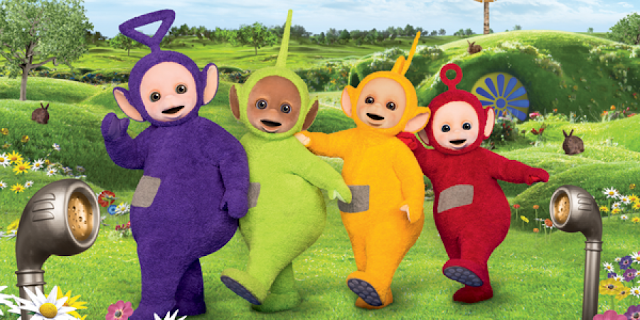 Teletubbies – Join Tinky Winky, Dipsy, Laa-Laa and Po as they exploreHome Dome and the magical countryside of Teletubbyland through play. InNew Toy the children in Tummy Tales play a game of pass the parcel and win a surprise toy, while the Dup Dup delivers toys for the Teletubbies to play with. Even Noo-Noo enjoys a new treat! Ruff- Ruff, Tweet & Dave – Join in the fun with Hatty,Ruff-Ruff,Tweet and Daveas they go on magical adventures. In A Birthday Party AdventureRuff-Ruff, Tweet and Dave celebrate Hatty's birthday by playing all of his favourite party games. They also find him a surprise birthday gift along the way. Cloudbabies - Who looks after the sky? The Cloudbabies do! In Rain Rain Rain the rain has kept the Cloudbabies inside today and Bobo White is bored. 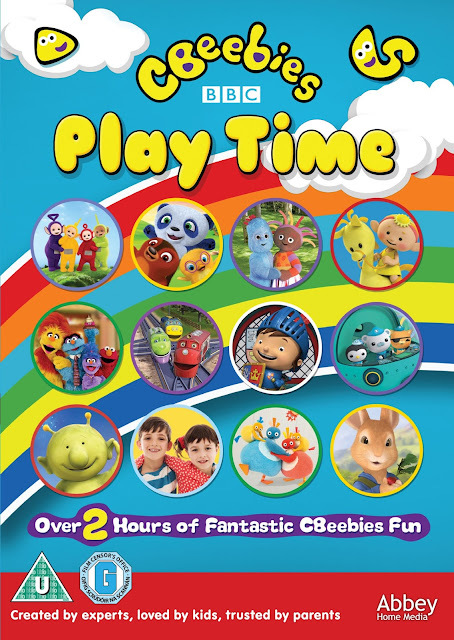 Baba Yellow suggests they play a game of 'Favourite Things'If you'd like to join your favourite characters for over 2 hours of fantastic fun simply enter for your chance to win a copy! Enter by using the Gleam form below and don't forget to enter my other blog competitions. 1. 1 winner to 1 winner. It has to be Octonauts! Justin's House is still a favourite. My daughter loves Charlie & Lola & my son is a big fan of the Twirlywoos!! The Twirlywoos are big favourites here. My son loves teletubbies! He'll wake up at 6am every morning to watch them! Shame they're only on once a day! My daughters love Topsy and Tim. Mr tumbles! He also loves peter rabbit!